But unfortunately, there are other parts of the ocean that are not in such a good state. It's just terrifying when you read some of the facts: We're fishing out the ocean at a rate that will leave nothing for our children, and their children; we're choking it with plastic and other pollution; the ocean is getting hotter and more acidic, and having all sorts of nasty knock-on effects such as coral bleaching. We still see mindless and cruel activities - such as the mass killing of sharks for soup or unnecessary bycatch because of reckless fishing methods. 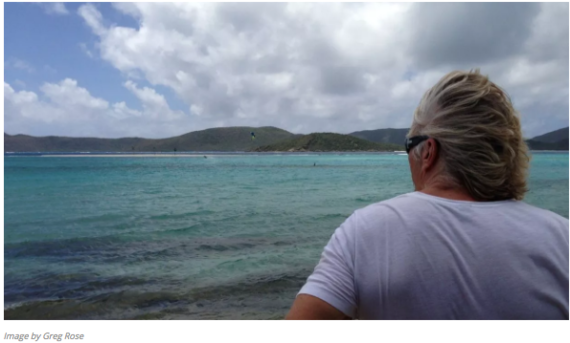 Like millions of others, I really care about the ocean and can't just sit back and watch it being destroyed. Having had the huge privilege of swimming with magnificent creatures, such as humpback whales, whale sharks, and even getting a painful kiss from a stingray (not something I recommend), I am in total awe of our underwater world. I am in a fortunate position that I can use my voice, my blog and social media to campaign for the issues that I really care about. My work as an Ocean Elder, and also the establishment of Ocean Unite, has immersed me deep into the murky depths of ocean policy. I have even, almost, put on a suit (no tie though!) 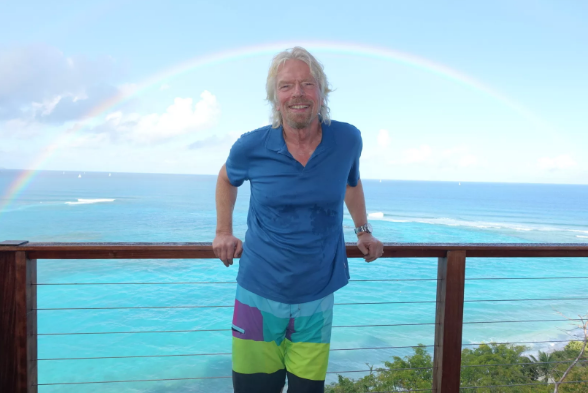 to meet with government leaders, to push for greater ocean conservation and to protect key species,as well as pushing for the creation of marine reserves to provide the space for ocean life to bounce back and flourish - not only in protected areas, but in the waters that surround them as well. And of course tackling climate change is huge part of our work with the B Team and Carbon War Room. Sometimes the problems seem too big for any of us to make a real difference, but I am a great believer that together, as a community, we can change the world. So make some time for the ocean on this World Oceans Day - and then made every day afterwards a day for the ocean. 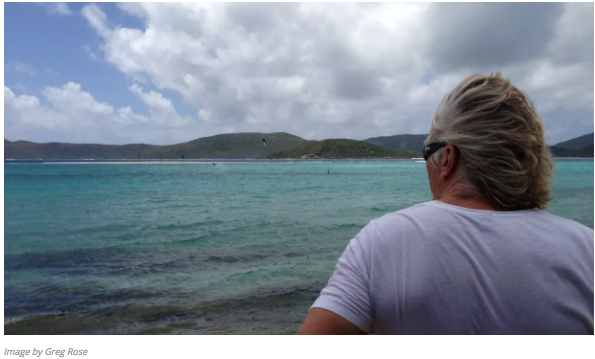 There are lots of things happening and some amazing work is being done towards protecting the ocean. There's a large international meeting that regulates trade in wildlife called CITES coming up at the end of September, where a number of proposals that could protect sharks and rays are up for discussion. Governments need to do the right thing and ensure that CITES adopts trade measures to protect these species before they disappear. I've also been really excited by the announcements over the past year for large-scale marine reserves in Chile, the UK and Palau. But we need to do more. A new scientific study says we urgently need to scale-up action so that at least 30 percent of the ocean is fully protected if we want to avoid large-scale problems and a sick ocean. This year I'm especially hoping that the Ross Sea - an almost pristine part of Antarctic waters - will finally get the protection it needs after years and years of discussion, evaluation and campaigning. You can dive in by going to oceanunite.org to see what action you can take to support the work of the many organisations working to protect marine life. 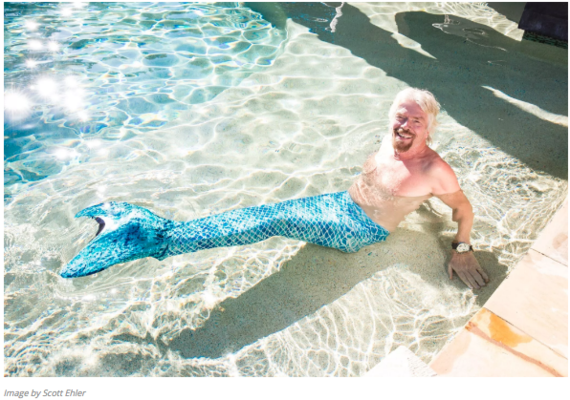 And talking about diving in, you may be wondering why I'm dressed as a mermaid in the photo. I love a challenge, so on September 27th, as part of the 2016 Virgin Strive Challenge, I'm going to swim from the southern tip of mainland Italy to the island of Sicily in the Mediterranean - which is about 3.3 kilometres. 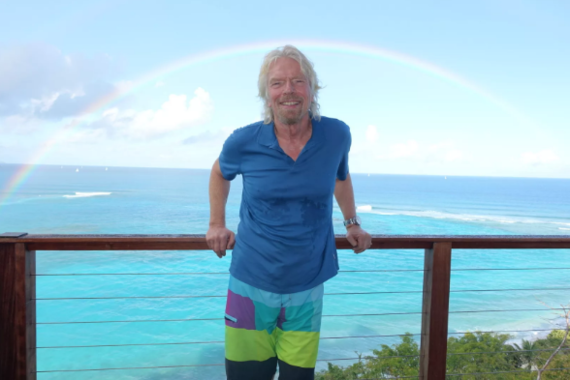 Today, I challenged my friend Adrian Grenier to join me so that together we can raise awareness for ocean issues: a September swim for our seas! 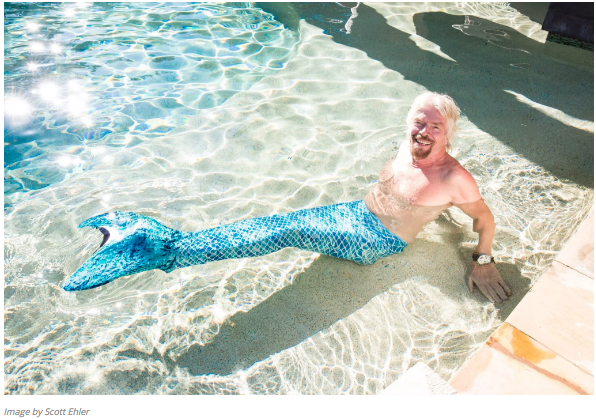 So, if this grand-dude can get himself swimming through strong currents and the occasional jellyfish (should be a doddle after swimming with sharks), I hope it will be an inspiration for others to dive in and do something bold for the ocean as well. Join us and make a splash too, take a photo or video and share it on Instagram or twitter with #MakeASplash. I am sure that the best #MakeASplash submissions will inspire us and we'll be sure to share them to inspire others to conserve and protect ocean life.